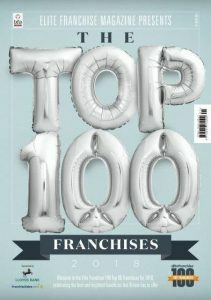 We are delighted to announce that we have made the top 50 in the Elite Franchise Top 100. Elite Franchise 100 recognises the sector’s brightest businesses and ranks them according to a broad range of criteria from their financial performance and heritage in the industry to their contribution to the community and the way they embrace innovation. Click here to find out more about the Elite Franchise 100!